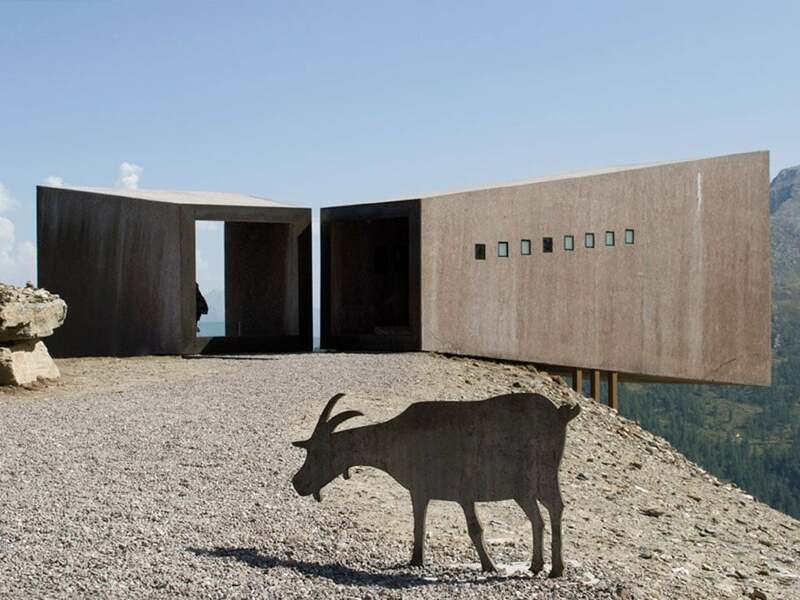 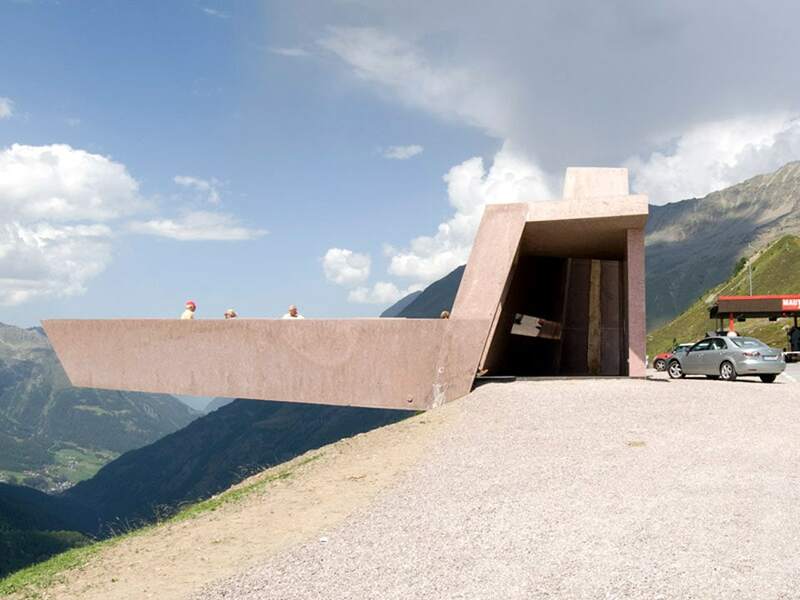 Located along a mountain road straddling the Austrian-Italian border, the Timmelsjoch Experience is an open-air museum of architectural sculptures. 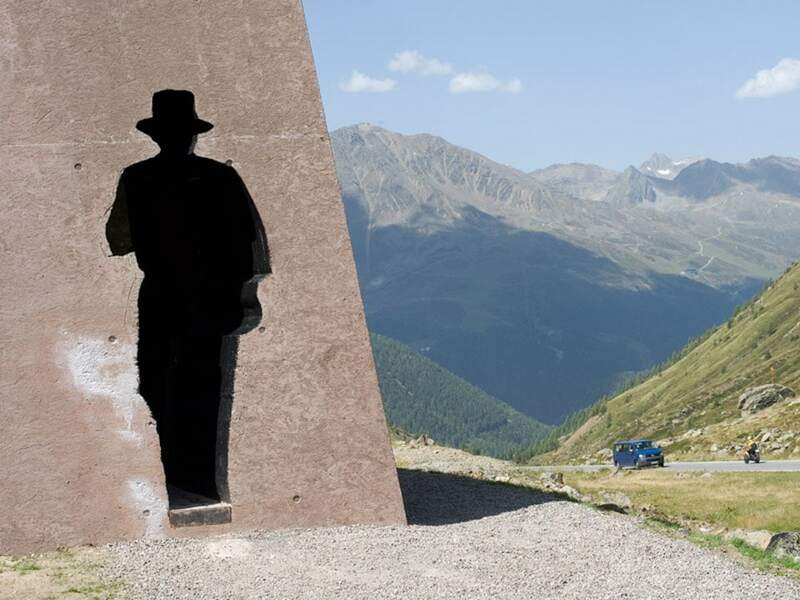 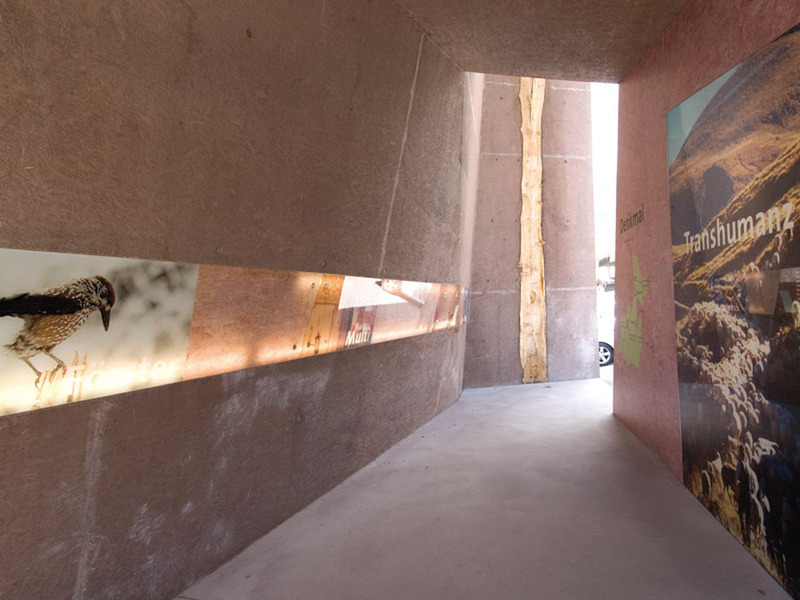 Inaugurated in 2010, the Experience currently includes 5 permanent installations designed by architect Werner Tscholl, all inspired by the historical role of this area as a link between the populations living on the north and south sides of the Timmelsjoch high mountain pass; respectively in the North-Tyrolean Ötztal valley in Austria and in the South-Tyrolean Passeiertal valley (Italian: Val Passiria) in Italy. 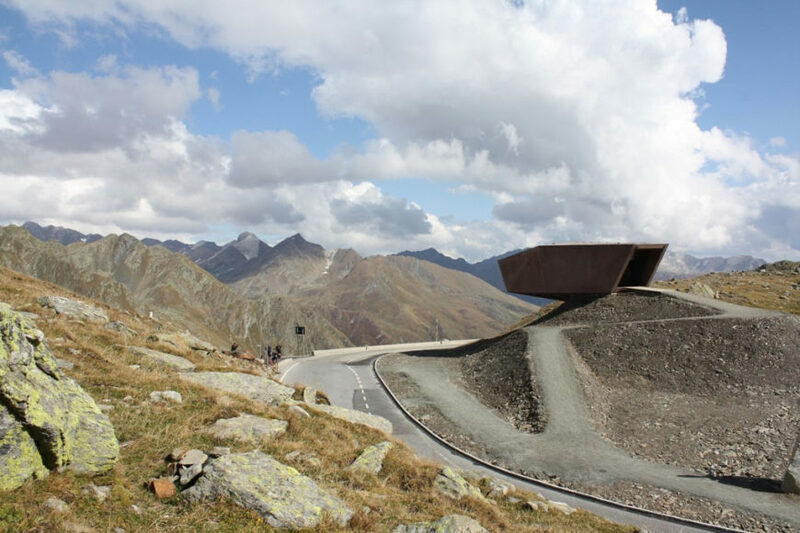 Each architectural sculpture has its own themes, which cover subjects such as local history and culture, geology, alpine flora and fauna. 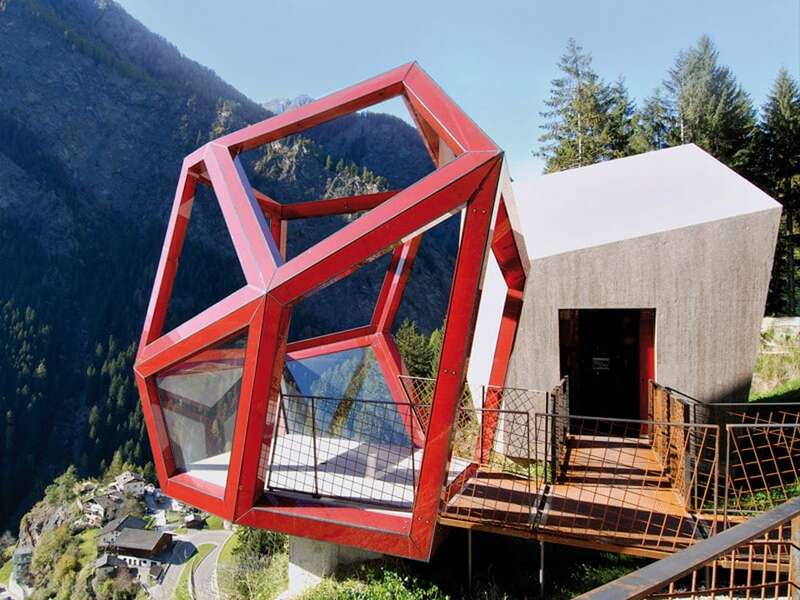 It is composed of two multifaceted structures, inspired by the geometric shape of crystals, one accommodating a small exhibition space and the other a viewing platform overlooking the Passeiertal valley. 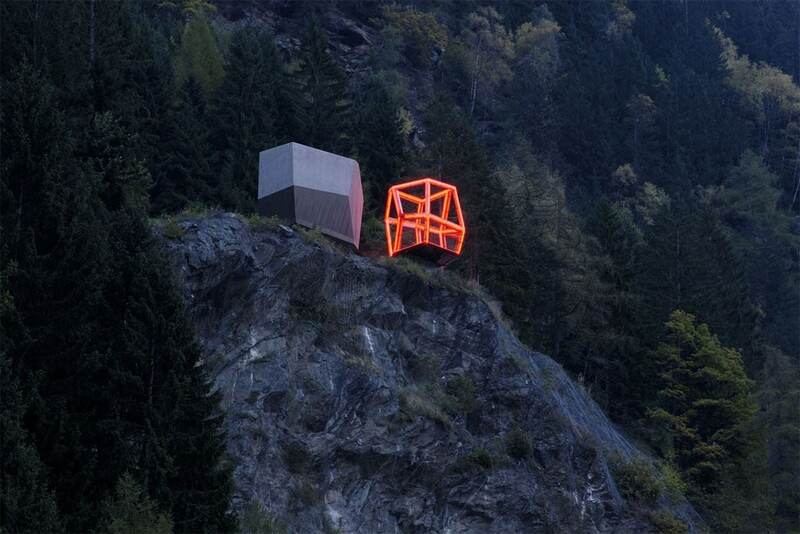 Still on the Italian side of the road, the installation, comprising two specular tubular micro-architectures, is a huge viewing device focusing the viewer’s attention on the Texelgruppe nature reserve and the mountain chain which borders it. 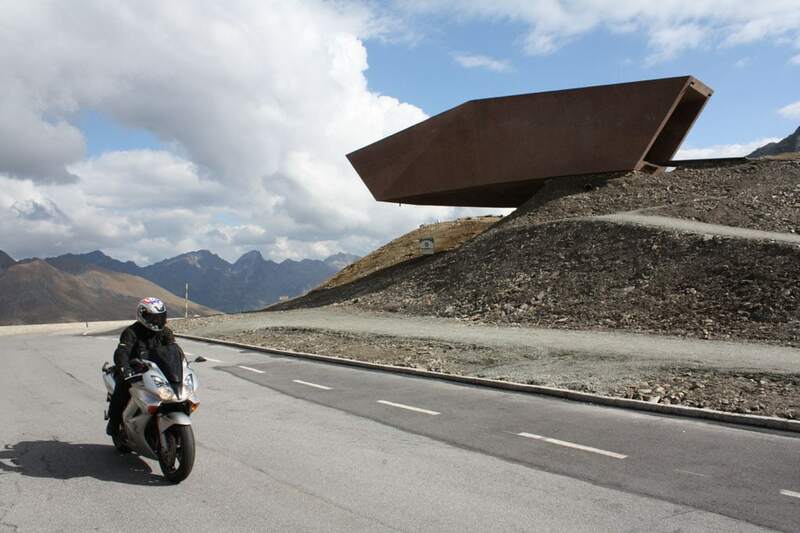 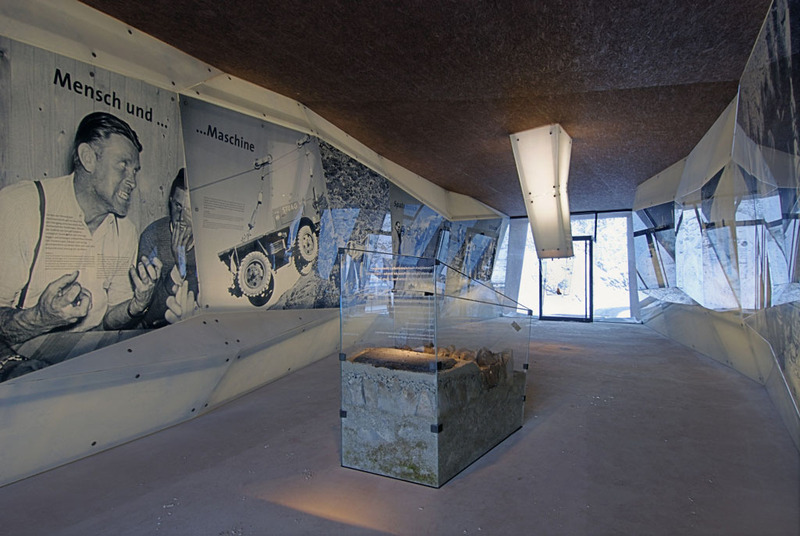 Located at the Timmelsjoch pass, 2,508 meters above the sea level, the Pass Museum is the largest and perhaps the most iconic of the five installations of the Timmelsjoch Experience. 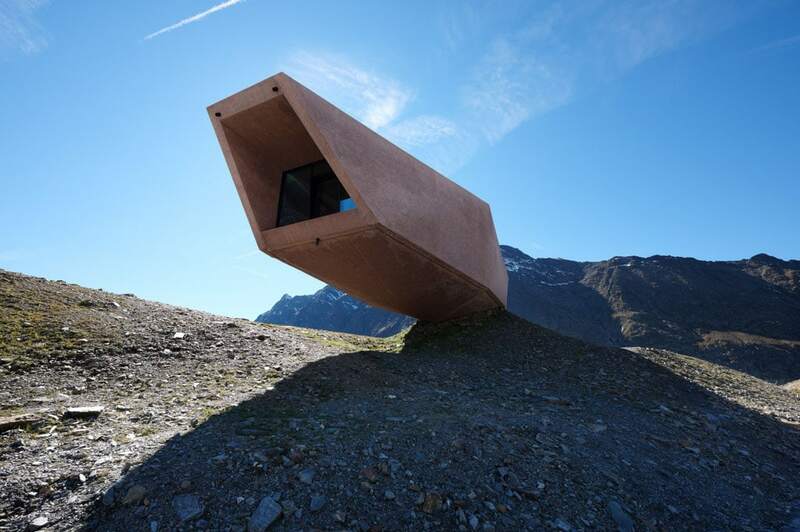 It is an imposing cantilevered tube which houses a small museum depicting the history of the place through graphic panels, photographs, a scale-model of the valley, and an ancient “fibula” dating back to the 3rd century B.C. 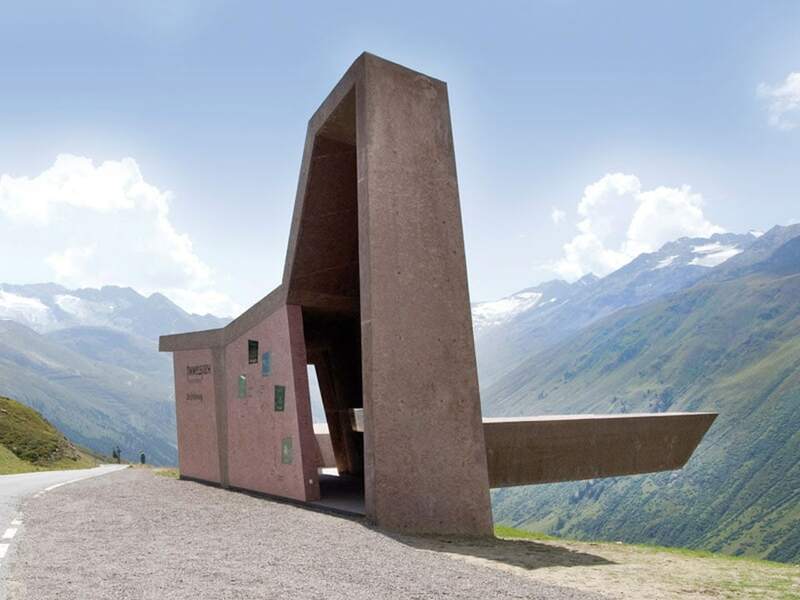 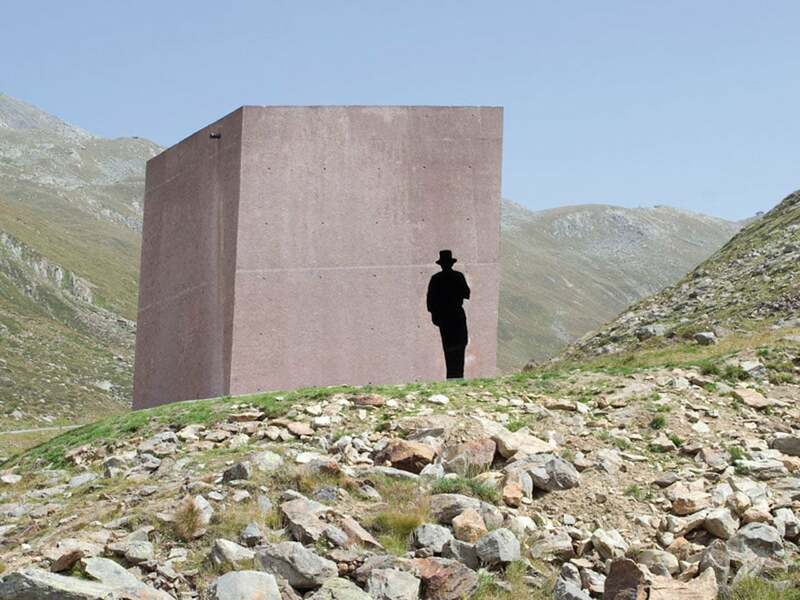 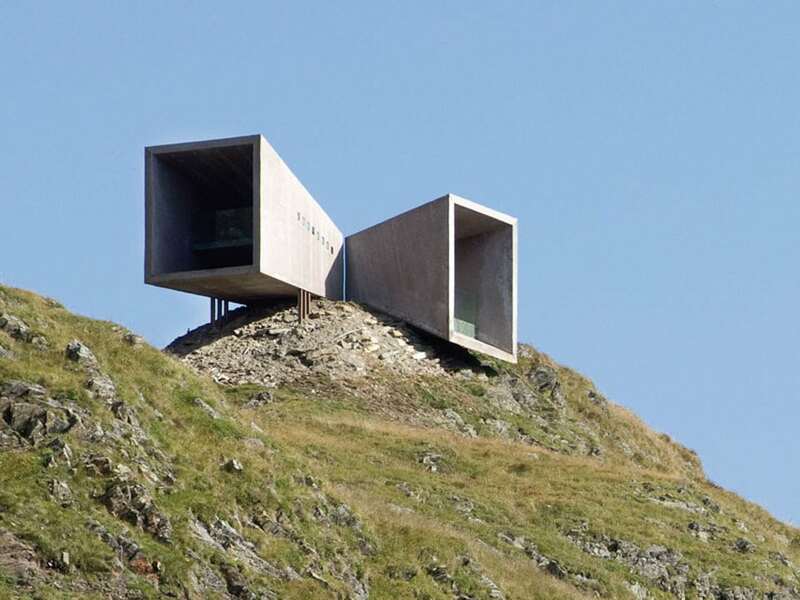 It is a small cube structure which celebrates the history of the “couriers” who, for almost a century, smuggled goods across the Austrian-Italian border through dangerous high-mountain trails, before the abolition of national border controls within the European Union in 1997.
the “Walkway” is a viewing platform near the Austrian village of Hochgurgl and a small permanent exhibition space dedicated to the surrounding forests and glaciers, as well as to the history of the local alpine communities.